Hello and welcome to my version of the game, ‘F*@#’, Marry, Kill. This week we are WWW’ing Jane Austen Heroes. Waste: It pains me to do this, given that he’s so hunky (and patient! And romantic! Seriously that letter at the end of “Persuasion” is the most swoon-y thing ever…), but Captain Wentworth. I get seasick. Wed: Mr. Darcy, of course! Pemberley–that is all. Wed: J J Feild, because he looks like he would be a steady, dependable, ‘no mistress once I’m married’ type of man. Waste: Ciaran Hinds because he looks way too stiff and disapproving. Want: J.J. Feild. he’s just cute, isn’t he? Wed: Ciaran Hinds. Because he’s seems like he would be a good, stable provider. 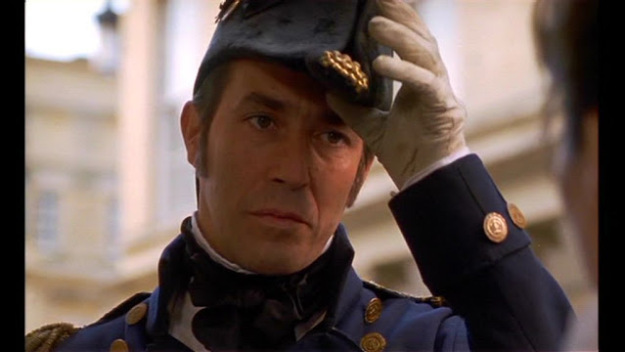 Want: Ciarin Hinds as Captain Wentworth. I struggled between Want and Wed, and am still second-guessing myself. If it had been Rupert Penry-Jones version, well, he is wed wed wed. 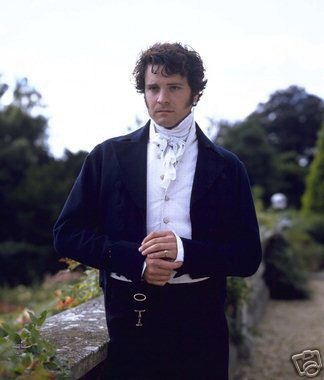 Wed: Colin Firth as Mr. Darcy. I just think, for the long haul, Colin and I would rub along quite nicely. Waste: J.J. Field as Mr. Tilney. 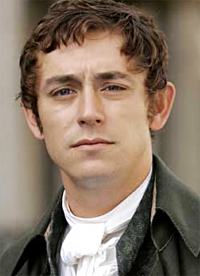 Nothing against this actor but I dislike the hero and heroine of “Northanger Abbey.” No chemistry in the movie. None for me with him. WANT: Okay, I’m totally cheating and going off the reservation with this one. Matthew *sigh* MacFadyen as Mr. Darcy (the Keira Knightly “Pride and Prejudice”). He’s a total hottie! WASTE: Colin Firth, because he’s no Matthew MacFadyen! WANT: Captain Wentworth (sigh…..). Who can refuse a man in uniform? However, Mr. Darcy stole my heart long ago, and as such, you are but a want. WED: No doubt, Mr. Darcy!! Doesn’t every woman want a Mr. Darcy? Admittedly, I’d rather have a Matthew Macfadyen version (him walking across the foggy field with his shirt slightly open…swoon) but if forced – go on, twist my arm – I’ll take Colin Firth and his curls falling over his forehead. WASTE: I’ll have to confess to never seeing or reading Northanger Abbey, so nothing personal Mr.Tilney / JJ Field, but consider yourself wasted. Now we’d like to hear from you….which of these Jane Austen Loverboys would you Want, Wed, and Waste? I love him too, but haven’t seen Pride and Prejudice. Must see it soon! M.J. Schiller, so unfair to even suggest Matthew MacFayden, because I not only wanted Rupert Penry-Jones to be a choice, but also Jonny Lee Miller’s Mr. Knightly. If I’d had to choose between those two with either of the Mr. Darcys thrown in, I would still be staring at my screen, wondering…. Have you watched North & South, because, believe it or not, Richard Armitage blows Matthew away as a brooding hero. He is my new period drama obsession. I’ve heard him (Richard Armitage) mentioned before. I’ll have to check him out. But isn’t Mr. MacFayden hot?!!! He’s simmering, but Richard Armitage is smokin’! Oh wow, Alicia. Here’s my list. If I had to choose between 1, 3, and 4 I think my head would explode. North and South (BBC) Richard Armitage as John Thornton (swoon) This is a story by Elizabeth Gaskell, not Jane Austen, but still period drama. Well, Jill. I’m in the business of making people’s heads explode, so perhaps I WILL use 1, 3, and 4 🙂 Thanks for the list and stay tuned….